We'll now assume "dunking" refers to soy sauce. 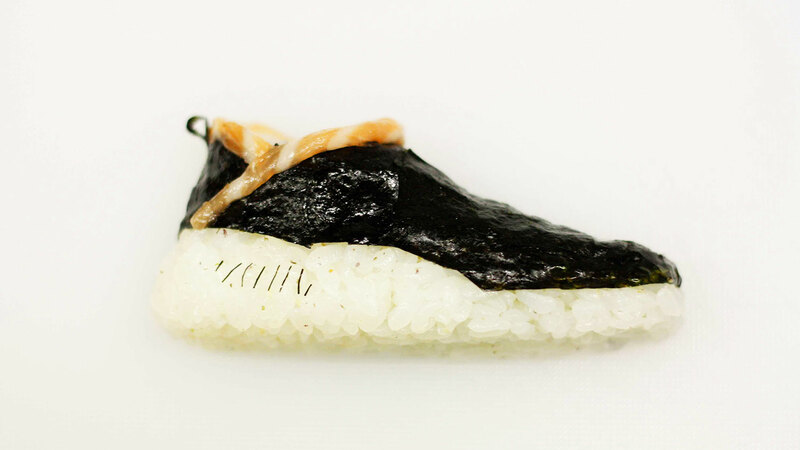 This sushi artist has invented a strange but super delightful sushi phenomenon: shoe-shi. 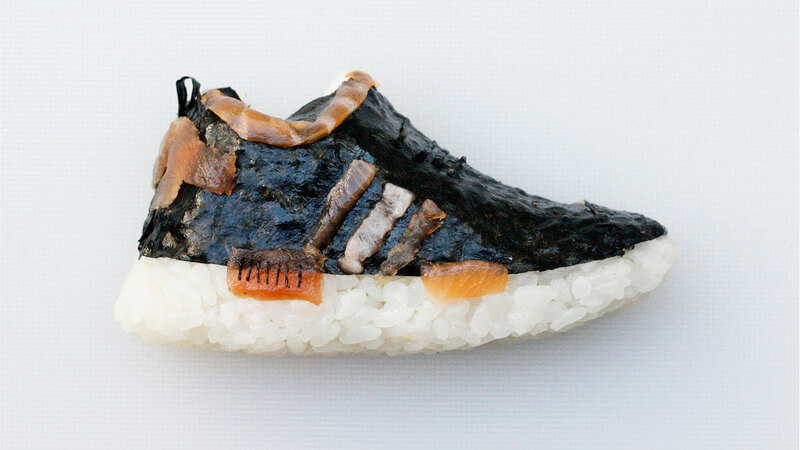 Yujia Hu, the chef and artist behind Instagram sensation Onigiriart, has recreated some of your favorite shoe designs out of just sashimi, rice, and seaweed. The current collection of shoe-shi includes Nike high tops, Air Jordans, Vans, and even sneakers from the Supreme x Nike Air More Uptempo Collection. 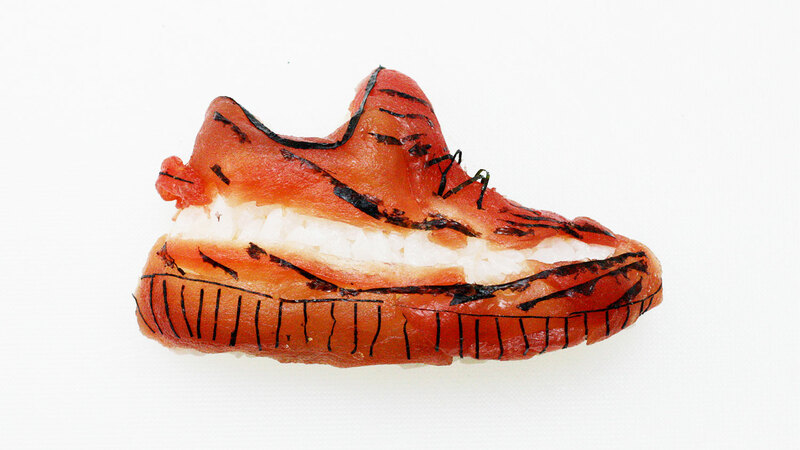 Yujia Hu, a Chinese artist working at a Japanese restaurant in Milan, Italy, began designing these shoes twelve weeks ago, when the chef posted these sashimi-fied Nike Air Jordan to Instagram. 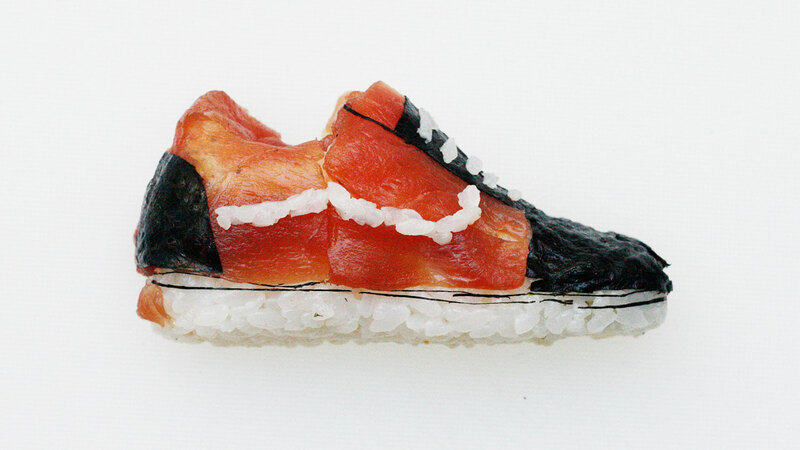 Since then, Yujia Hu has posted twenty-one of these sashimi shoes. Three of the most recent four, unlike all the sashimi shoes that came before, weren't sneakers but shower sandals, including a sashimi-fied version of the iconic Adidas shower sandal. 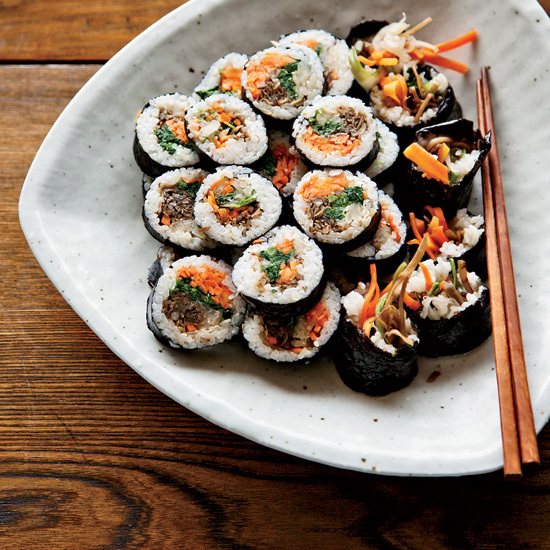 Yujia Hu is the sushi chef of Sakana Sushi in Milan, where the work is mostly confined to more traditionally shaped sushi. 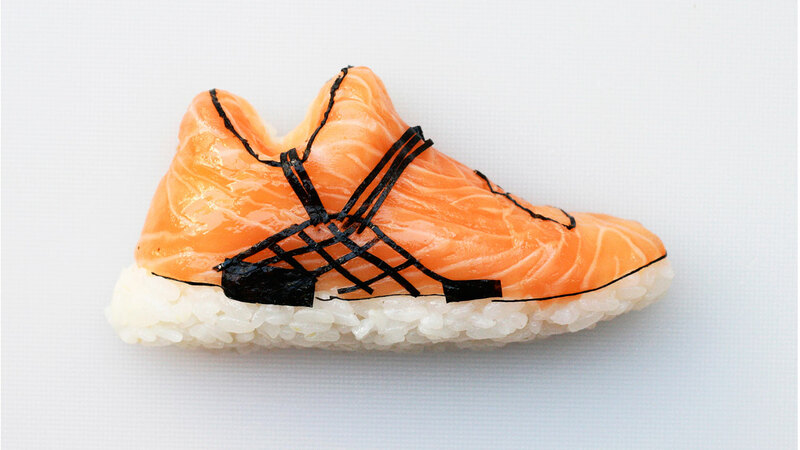 Still, shoes aren't the only creatively shaped sushi that Yujia Hu has brought us. You might remember the NBA players sculpted out of rice balls from last summer, which included LeBronigiri James, Timgiri Duncan, and Demarcusgiri Cousins. Between the sporty sneakers and the NBA players, you might be noticing a theme here. After all, Yujia Hu's emoji of choice for the Instagram bio are a Chinese flag, an Italian flag, a rice ball, and, yes, a basketball. In fact, the Instagram feed also includes a collection of what basically amounts to NBA fan art. So, if you're in the Venn diagram overlap of loving sushi, loving art, and loving pro basketball, Yujia Hu's Instagram, @theonigiriart, might just become your new favorite thing.